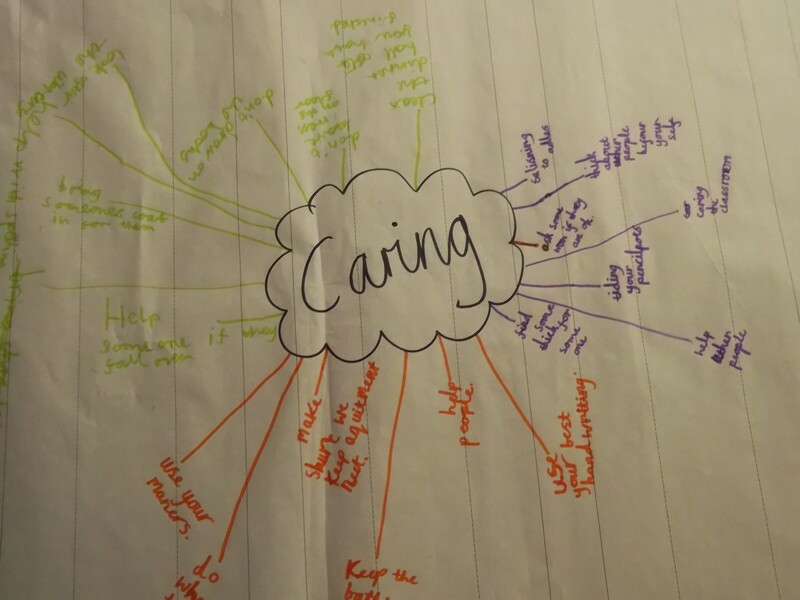 This month our value word is Caring – Year 3 were asked how they would show a caring attitude at school. They discussed all the little things that they could do to show that they care. They came up with a map of ideas – have a look at all the lovely ideas they thought of. Showing that we care can be done in many ways BIG or small – just holding a door open or asking if someone has had a nice day. Think of ways in which you can show you care this month – you never know someone might show they care for you too!